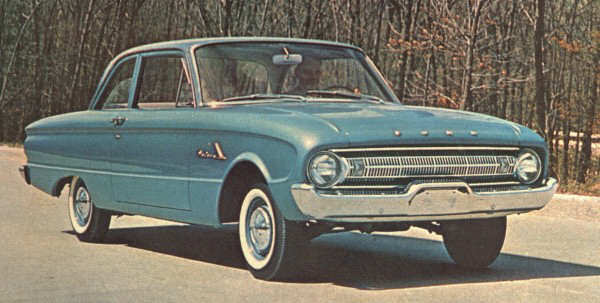 In 1964, if you were a wealthy young man, you lusted after the likes of Ford’s Mustang or Ferrari’s GTO. 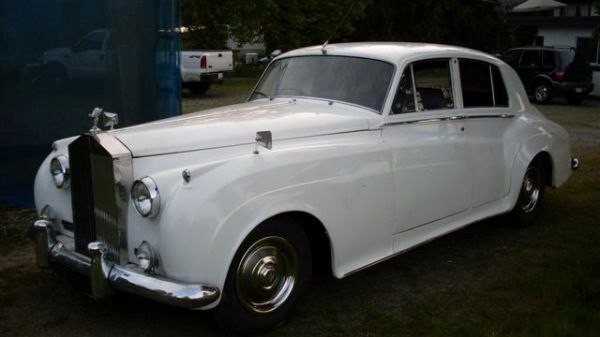 If you were a wealthy old man, you probably found yourself looking for a Rolls Royce or Bentley. 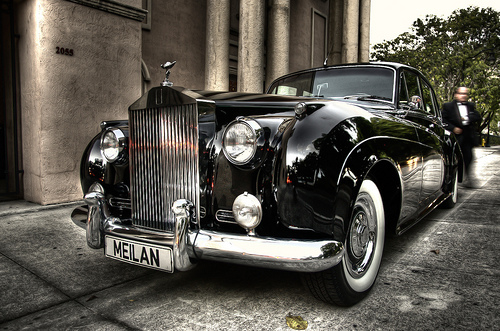 And if you were a wealthy despot, it would be a Mercedes sedan that filled your dreams. Big, comfy, understated, and yet gloriously luxurious in top trim, they were the perfect car for the discerning dictator. Spanning a price range that brought their sedan line from basic, but solidly built runabouts all the way up to super-luxury limos, Mercedes offered three different chassis codes in the mid-sixties, with the popular WIII code indicating those two- and four-door chassis fitted with the venerable 2.2 litre six cylinder (W110 indicates four cylinder-powered cars, while W112s received the 3.0L inline six). 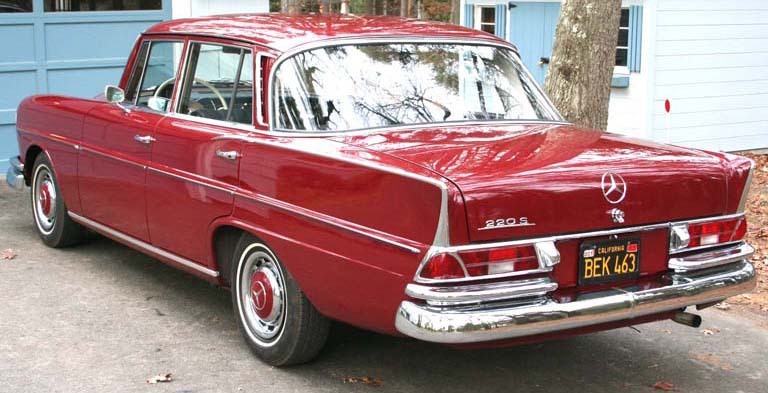 This specific car, a W111 220Sb, represents the middle of the W111 lineup. Thanks to the dual carburettors, it boasted 15 more horsepower than the base 220b, bringing the total to 110, but still rallied 10 horsepower less under the hood than the rare Bosch fuel injection- equipped 220SEb. Good for a top speed of 103 miles per hour, it was no slouch out on the Autobahn, but it’s considerable mass and long gearing conspired against it under acceleration, and the 220Sb struggled with a lethargic 15-second 0-60 time. However, when you’re in the interior of a car like this, replete with possibly the most interesting gauge arrangement ever, you may appreciate the slower pace the big Benz requires. And as the most popular of the W111s, the 220Sb is a relatively common collector’s vehicle, and still boasts a pretty staunch enthusiast base. However, that doesn’t make it the easiest vehicle to own, with parts prices and availability requiring both a serious level of commitment to source and purchase. But, this is a unique vehicle offered at a great price, and given their continued rarity, there’s no doubt in my mind that they’re on the cusp of becoming very, very desirable automobiles indeed. And although it may be testing slightly below Aircare requirements, the popularity and robustness of the 2.2L six cylinder ensures that any mechanical issues should be easily rectified. And hey, who knows how much longer we’ll even have Aircare for, anyway! 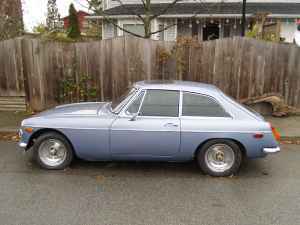 If I’m honest, this particular entry into CYSB immortality might be a little self serving: the Jaguar Mark X/420G has always been a personal dream car of mine. My father has owned a 1974 Jaguar XJ12L for as long as I can remember, and although that car’s combination of grace, space, and pace may leave little to be desired, I always found myself flipping his Classic and Sports Car magazine open to they’re early ’90s expose on Jaguar’s biggest luxury barge. Positively gargantuan and in many ways a would-be competitor for the Bentleys and Rollers of the day, the Mark X borrowed heavily from the popular XKE sports car, stealing both its legendary inline six engine and a widened version of its independent rear suspension. 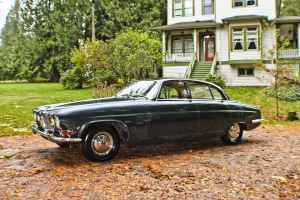 The first Jaguar sedan to feature their well-know suspension system, the Mark X was well-regarded as being a very well sorted car when it came to ride and handling, but would quickly be panned as underpowered. With a curb weight of almost 4,200 pounds and a paltry 3.8 litres’ worth of displacement under the hood, acceleration was tepid for the Mark X, and sales lagged in the all-important American marketplace that was drunk on the power provided by 8.2 litre Cadillac V8s. Jaguar attempted to fix the problem in 1966 with the release of a larger inline six that now displaced 4.2 litres, but the subsequently known 420G fared little better than its predecessor. Although Chrysler seems hell bent on erasing their past, the reality is that the car that brought them into this millennium riding a wave of success owed both its name and much of its attitude to a Chrysler from decades ago: the Chrysler 300. Birthed in 1955 as a line of exclusive and luxurious high performance sedans, the first generation spanned a full decade and has come to be known as the 300 letter series cars for their annual nonsensical alphabetical progression from C-300 (the first cars were actually letterless and are known as 300-A’s in some circles) to their termination in 1965 with the 300L (they skipped “i” as well). 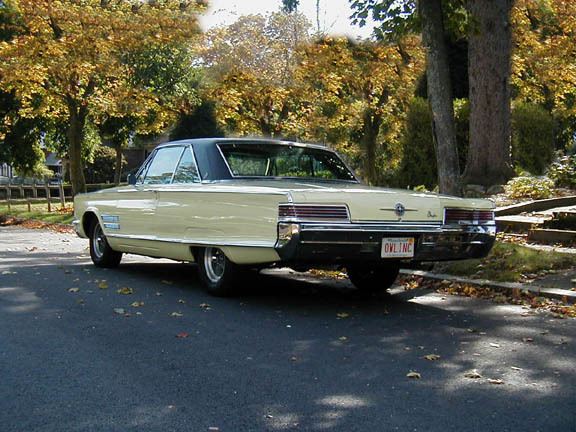 For 1966, Chrysler dropped the letters, gave the car a facelift, and introduced the world to the 1966 Chrysler 300. 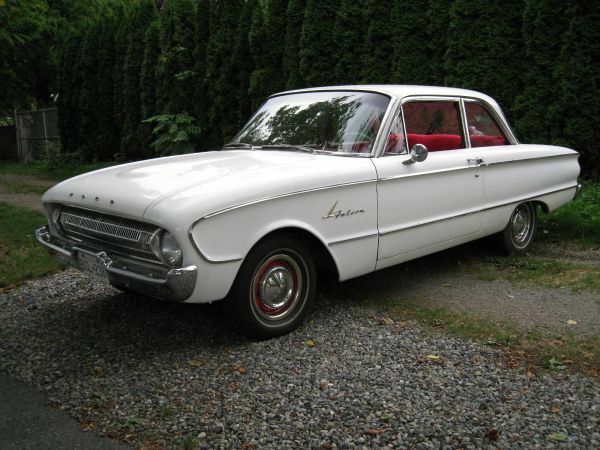 Available in two door hardtop, two door convertible, and four door hardtop variants in the U.S., with Canadian showrooms also endowed with a four door sedan format, the car was no slouch. 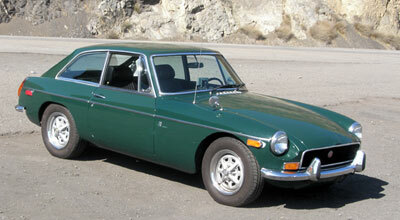 In fact, you couldn’t get it equipped with anything smaller than Mopar’s 383 big block. Horsepower ratings ranged from 325 to 365 horsepower, with the top rung “TNT” 440 big block producing a prodigal 480 pound feet of torque. 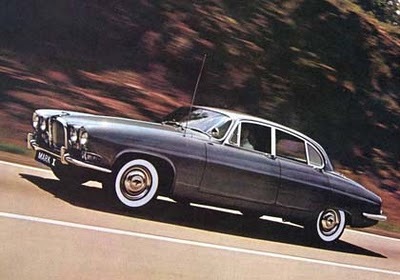 Although not as well recognized as the feature-laden and handsomely styled Lincolns and Cadillacs of the day, the Chrysler 300 did set a standard for powerful executive sedans, becoming a sort of BMW M5 or E63 AMG for the burgeoning and Beatles-obsessed American masses. Of course, the 300’s less prominent status also means you can pick one up for a relative steal compared to contemporary Continentals and Cadillacs, and this here is a prime example of that. Looking lustrous under a fresh coat of paint and sporting a 383, it appears to be in great shape whilst the current insurance would indicate it passed AirCare, and must not run too badly either. In fact, if I were a betting man, I’d wager that it was that particularly annoying local institution that catalyzed the carburetor rebuild, but as always, I could be wrong! Things to watch out for would be any overzealous applications of bondo underneath that fine looking paint, as well as the familiar America sedan rust-prone spots around and under the doors, floors, and trunk. Furthermore, as a pretty luxurious car, any potential buyer will want to keep a weather eye for any missing trim or switchgear. Although relatively well supported, it can be tough to locate exterior (and thus damage prone) trim pieces as well as interior bits and parts. 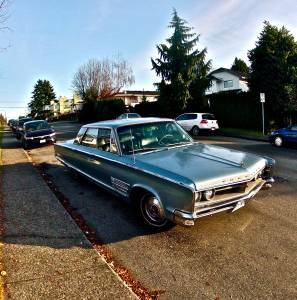 But, if it’s as advertised, then this might be one of those rare classic cars that one could just as easily use to take the family for the softest-riding Sunday afternoon cruise you’ve ever experiences as they could to pick up the boss at the airport on Monday morning. Once again, the blue text up top will take you to Craigslist ad! Well folks, after a few months of pretty terrible blogging, I’ve managed to retain at least a handful of readers (that’s right, you’re not alone!). On my resolution list is a dedication towards updating CYSB with as-yet unseen regularity, and although only 15% of people actually keep their resolutions, I intend to do substantially better in the new year. Then again, this is coming from the same guy that’s been rebuilding his own truck for over two years, so I’ll forgive you if you take it with a grain of salt! I sincerely hope that 2012 sees improvements for one and all, and I wish you all the best of luck in the coming 365 days in every facet of your life. May Vancouver find a bit more respect, a bit more humility, and a solution to the god-damned traffic jams.